Taking The Time To Understand The Bible And To Decide For Yourself Is Awesome. “The Earth Was Once Judged. The So Called Aliens Are From Earth And So Are The Original UFOs”. Jesus is not coming back to harm anyone ! He died for us. He will rule with love and mercy. 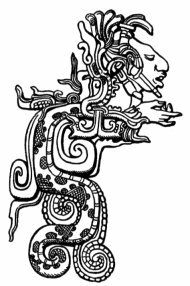 Last picture is a Mayan Serpent with a microphone. Many more pictures telling the rest of the story on my other pages. Just click from the # menu above. Blessed be the God and Father of our Lord Jesus Christ, who hath blessed us with all spiritual blessings in heavenly places in Christ. : Ephesians 1:3. What is the bible about ? Men who were descendants of Israel wrote the books over 1000s of years. The new testament books were compiled in 170 AD. The old testament books compiled about 250 AD, that is when the bible was made. Men were inspired to tell what they knew about God, what He said and their history with Him. They list their lineage from Adam all the way to Jesus, God’s son, showing the bloodline was pure. They tell us about the mysteries of angels, spaceships and what is in store for us. It explains past, present and future events. Also you will read of their battles with other mankind, all the while trying to obtain their land promised by God and keeping it. God gave them laws to help them and us. The bible is filled with prophecy which has already come to pass. Predictions of the end times are still to come. Three Heaven and Three Earth ages and mankind. The writers did not always know how to explain the new things in their visions and dreams. They still wrote them down for us, often using symbols of what they knew to tell their story. It is one of life’s greatest pleasures to take time and read the bible. It’s truth comforts us, because we can stay calm and help others in times of tribulations. First page of the bible “God with us ” and the last page “God with us”. The pages in between, “God reconciling back with mankind”. Moses studied the paintings, carvings and symbols of the pyramids in Egypt. He describes these symbols and will use them to tell the account of creation. Understanding of the symbols can be found throughout the bible. Moses later went to be with his brother and sister. They were descendants of the Levi tribe belonging to Israel held as slaves in Egypt. They told him about their history. Moses starts with how the earth was the first planet to form in the universe. Then shortly after, the rest of the gases in space continued forming other objects. This is interesting, because after the Big Bang something did have to form first. The six day creation is correct. The billions of years of the Big Bang and how Scientist say it happened is incorrect. There is a gap between the 6th day man who was judged good and bad and Adam. This is why there are two stories of creation. Do not let this confuse you. Moses explains it further and I will help. How is it possible that Jesus later became the only son born a human through Mary ? Holy Spirit’s power fathered him. He shares this mystery when talking to Nicodemus. One must be born again. Jesus physically was born from a spiritual being, to a flesh man in order to be God’s sacrifice to mankind. 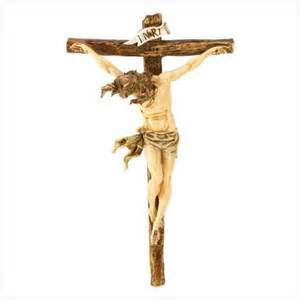 He was beaten, crucified and was separated from our Father and died. This was so our sin would no longer separate us from God. Adam got the Tree of Life taken away. Jesus’ sinless life earned the Tree of Life back for us. After his resurrection he was united with our Father. He now mends the relationship between mankind and God. That is why we can have eternal life with them in the age to come. We become God’s children by accepting Jesus, His gift. Now we the physical man can be born again into Christ, a spiritual anointing, by doing Jesus’ work on earth. God, Jesus and Holy Spirit made male and female people about 10,000 years ago. They are called (creatures) because they were created and made in groups called the four clans. Each clan had a different pigment skin color, for the clay soil they came from. Red, black/ dark brown, brown and yellow. The organic material had not decayed yet. They do not have a blood relationship to Jesus. Sorry no one evolved from monkeys, oops I mean “missing links”. Adam and Eve were also created by God, about 5800 years ago. Adam is a play on words, Adamah; means humus for the rich beige -pink clay soil he was made from. That is why they are called humus – man or humans. Referred to today as whites and some tan easier. The difference between humans and creatures is not just pigment color, but Eve was made out of Adam. Their children were born in ancient Armenia/east Turkey. Also Jesus the son of God, came from Eve’s offspring. Now there is a blood relationship and as God’s son, he was God’s representative on earth. Jesus was born an ordinary man that God sent Holy Spirit to him and did Extraordinary things. That is why people could be healed and resurrected. We can all become a new creature in Christ Jesus, by preaching his gospel to every creature of the five colors. The Jew first, then the lost house of Israel and then the nations. God loves all of us. I hope this helps. The four clans people of earth were once judged about 6500 years ago. The good became the messengers/angels and watchers to help the bad. To understand this you must see the entire theme of the bible. God created the heavens and the earth. This includes the universe’s ability to form stars, planets and galaxies. The story being told by Moses is going to use these symbols from the facts of how the world was created. They can also be found in the book of Revelation. To enlarge some pictures just click them. The solid, smaller, warmer clay crust was covered with water. In symbol, the original leaders of the 4 clans, that God had a Covenant with were to be a blessing to others, the Earth. The leaders became corrupt, thus the earth was null and void. Waters are the people. God said let there be Light. What is this light ? It was the earth heating up and glowing, which made the earth spin. In symbol it was His guidance to make a distinction between what is good and bad. There was evening and morning on the 1st day. God separated the Water. Then evaporated some of the water to form the first atmosphere. The separation of water in symbol is God trying again to help us by judging good and bad. The good became the angles/ messengers. The firmament is Heaven, that is our atmosphere. It is where the people judged good were allowed to go in spacecraft. There was evening and morning on the 2nd day. God said let Dry ground appear. The Sea are those who had been judged bad and were gathered to one place called Eden. The ground would then bring forth Trees bearing fruit. In symbol, they were those not judged good or bad. They were guided and grew up in their own land. There was evening and morning on the 3rd day. So God said let there be two great lights in heaven. ( Like the sun and moon). One to govern the day, that is Jesus (Sun). One to govern the night, that is Satan (Moon). In symbol it is God trying again to help us by giving truthful information to leaders. Just as the sun gives light to the earth, Jesus guides the good people through love and mercy. As the sun gives light to the moon which reflects to the earth, Jesus gave Satan instructions/truth on how to guide the bad people and their nations. Through ways for repentance and settle dispute so they could become good. God gave Jesus the morning star, who gave Satan (power/iron rod ) to be in charge of His new angelic army. Just as the stars give light and are to be a sign for us. God sent some of those Stars, the angels, to bring forth His message to help people scattered around the world. God also adopted those good men and woman as His children. That is why the men are referred to in the bible as the sons of God. Both had been given longevity by eating a certain food, to do the job. There was evening and morning on the 4th day. God said lets the waters team with life, fish- sea creatures and birds on earth. In symbol it is God allowing nations to form out of the people that were judged bad. Those gathered in Eden. There was evening and morning on the 5th day. God said let the earth bring forth life/animals and critters. God, Jesus and Holy Spirit made man in their image. In symbol it is God allowing the people who were not judge good or bad, to govern their own nations. There was evening and morning on the 6th day. God rested on the 7th day and made it a Holy day of rest for all people. There was evening and morning on the 7th day. Then God continued with some of those 6th day leaders. He gave them further instruction like alchemy and how to use vibration to help and heal the people all over the earth. God planted a Garden in the east of Eden for Him, Jesus and Holy Spirit to live. He gathered those people there and they became the Sages and Chiefs. They got to eat the certain food for longevity, just like the angels. God never made Himself known to the people as God. They thought of Him as a Sage or Chief too, which is a wise man. God kept the space pods there and could return to the Mothership. The angels were allowed to visit with them in the garden. Jesus was the Lord. Someone they trusted to settle problems and show mercy. Please do not think I am reading more into what is written there. It is just that I have read the rest of the Bible and studied our history too. What is Satan’s problem ? Pride. He was an angel that stayed on earth who became the king of Tyre and had a crown. He was a priest for God and wore a breast plate covered with gem stones to distinguish him as a messenger of light. It was similar to the ones worn by the Levite priest and it glistened. Light is the truth from God. Satan taught in the sanctuaries of God. He started to tell lies to charge the people for God’s word and brought trade into the sanctuaries. He became wealthy, like the Levites who brought trade into the Temple of God. Due to this, sin was found in him. Remember Jesus kicked out the money changers of his day. Satan did not want to be God…. he does not think we deserve to be forgiven and found worthy like him. There are people that do not want you to get eternal life. The River represents God’s guidance for the people. Then it split into four headwaters. God delegated His guidance to the leaders/rivers of four clans, from which the people all over the world would be blessed. God was trying to help us while still giving us free will. Then the leaders became corrupt and the people had no more guidance from God. They were becoming bad again. 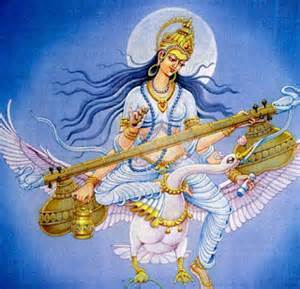 Vishnu grew up to be an instructor and had been given extra information. That was to help and heal the people, but he used it to be exalted. 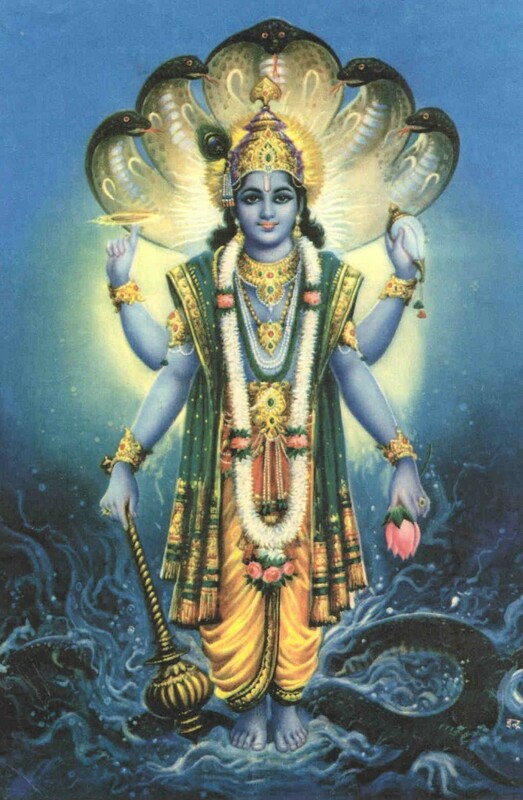 Vishnu is from the brown, bull clan and is now considered a god in Hindu religion. Satan is Shiva, also the death angel and was a covering Cherub, likened to the way a spaceship’s pod protects the person inside. What it means is he protected the Mercy seat which Jesus sits upon. 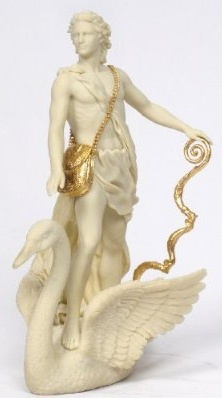 Michael is the other archangel /covering Cherub and is our chief defender. This explains the design of the arch/ark of the covenant. It has Cherubim on either side of the mercy seat. Satan got kicked out of the garden, because of his sin and lost his kingdom and priesthood. It was at this time God created Adam and put His breath in him. God then placed Adam in the garden which is in east Turkey, not Iraq. It was before the earth expanded. He was made to have dominion and this made Satan jealous. Then Eve was made from Adam, they are humans. Satan then sneaked back in wearing his breast plate. A Serpent is not snake, but the attribute of one, they are sneaky and glisten. Pretending to still be an angel of light he deceived Adam and Eve by blaspheming God. He said “did God really say that” and contradicted His words. In the bible it says blaspheming God or Jesus can be forgiven. Blaspheme of Holy Spirit, the spirit of truth, will not be forgiven. Satan will later make that mistake. They ate from the Tree of Knowledge that brings forth good and evil, the teachings of Vishnu. The fruit is the laws that bring blessing and curses for bad people. He also gave medical alchemy and secretive information he was not to share. Adam and Eve would also know how to fly the ship. Cain later moved to nod. His sons worked with metals. Adam got the Tree of Life taken away from mankind. That tree is Holy Spirit who has God’s power. He can use vibration, heal and give life. God protected the garden with guardian angels in ships. Again two stories are being told and Moses is describing symbols . In the book of Revelation, in the age to come a river will flow from God and Jesus’ throne to the Tree of Life/Holy Spirit. The 12 manor of fruit is the twelve apostle’s sharing God’s blessings every month. The leaves are Feast days for healing the nations, not because of injury, but to heal hearts. People will miss their loved ones who did not repent of their evil ways and accept Jesus to receive forgiveness. Adam and Eve’s eyes were opened and saw themselves as naked, to the other trees/people in the garden. So they covered themselves with fig leaves and were afraid of God. They learned traditions of bad people to appease God and come to His goodness. So God covered them with skins, they would now have to sacrifice to God for their sins. Later for sin, Cain and Able sacrificed to God. The Israelites had to sacrificed to God for sin in order to start over. Adam lost his authority and dominion. Angels are supposed to help us, not be exalted and rule over us. Those that do are the fallen angels. God then made Himself known and cursed all the fallen angels and their descendants. He also took away their powers. The first prophecy in the bible is that God would put enmity between Satan’s offspring and Eves. A human would come to defeat him. That man would be Jesus, God’s only begotten son. Also Satan would eat dust/ashes all the days of his life. Later Satan was filled with guilt and regretted his mistake. He repented to God and rolled around in a pile of ashes in front of the other kings and priests, near the garden in Eden. That is why Shiva is pictured covered with ashes. Later the Israelites threw ashes on themselves or rubbed the ashes on their clothes. This was in order to show repentance for sin, as if they were “dead to self “. God planted the good angels in Eden/modern Turkey as kings and priest. Just like one day we will be judged and be made kings and priest to the next generation. Later their sons revolted and their headquarters became “Mars Hill”, what is now west Eden/Greece. They moved to India and became the Hindu gods. Hindu has most of the original names correct. Later the Greeks lived where Eden was. That’s why they became the Greek gods. The Greeks changed the names about 730 B.C. when they got their alphabet from the Hebrew aleph-bet. They built there own statutes of the gods in 400 B.C.. The Greeks used their own faces and skin color/white. However the gods were really red, black, brown and yellow. 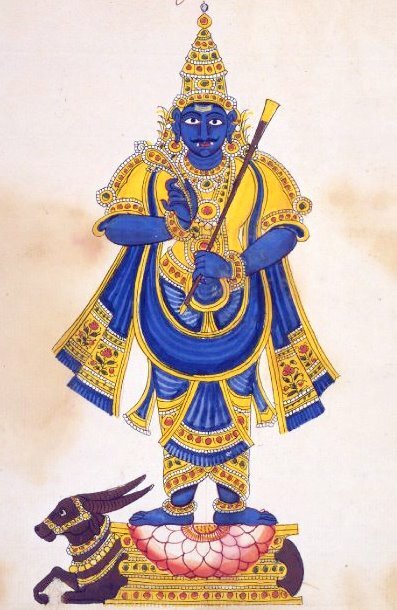 The Greek and Hindu gods are the same and lived in Eden. 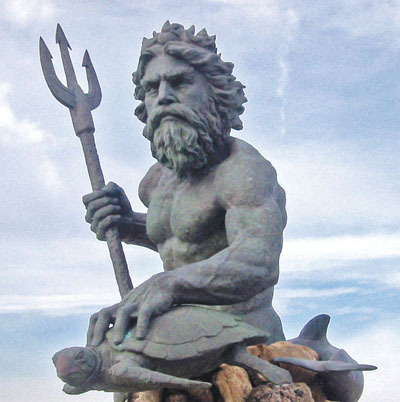 Satan is Shiva/Poseidon ruler of the people or sea and partnered with Vishnu. Indra/Zeus was the king of the so called gods. – Yama/Hades the leader of the underworld Labyrinth and now in the Abyss. 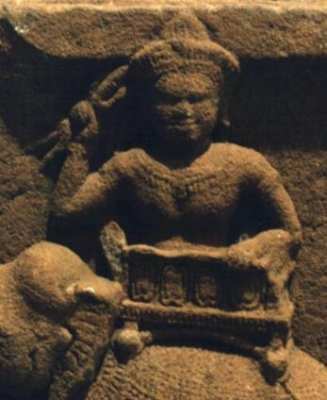 Brahma/Apollo son of Indra/Zeus rides on a swan. Now King of the gods. Again the symbol Tree represents folks who grew up with God’s instruction. The Lord said to Pharaoh ” to whom art thou thus like in glory and in greatness among the Trees of Eden? Yet shalt thou be brought down with the Trees of Eden unto the nether parts of the earth”. Ezekiel 31. Grasses are those just beginning to learn. In the book of Revelation 1st Trumpet…..1/3 of the trees burn up and green grass. When Jesus healed a blind man ” he took the blind man by the hand, and led him out of the town; and when he had spit on his eyes, and put his hands upon him, he asked him if he saw ought. He looked up, and said, I see men as Trees, walking. After that he put his hands again upon his eyes, and made him look up: and he was restored, and saw every man clearly”. And he sent him away to his house, saying ” Neither go into the town, nor tell it to any in the town”. Mark 8 22-26. Some of the good people who were judged to be messengers for God/angels got to leave earth. They built spacecraft by God’s instruction. The ships were made of metals like copper and zinc. They were mass produced in factories along the Chaco canyon New Mexico, before the earth expanded. They had glass to see out of and tile/ceramics to enter atmospheres. They had air chambers to change direction. Some could be fueled by maize, others fueled by nuclear Uranium. Each of the original four clans had Insignias for their tribes. A face of a bull, lion, eagle and man. They made space helmets with these faces. The ships also had lights, landing gear and round, bladed engines. They were to be sent to other planets in the heavens, the clans were to inhabit them and become little gods. They were given powers and special instructions. Bigger and better ones were built on or in the moon tunnels and on other planets like Nibiru. Some good angels became bad and came back to earth in large and small pods called a Cherub. They could depart in space, land on earth and then return. Not all angels disobeyed God and they are the watchers and visit earth in Cherubs too. As recorded in the bible. This is a cool image of a spacecraft like the one God has. It houses His throne, Many people live in it and can hold many large and small pods. It can also heat the air around it, to create a vapor cloud to cloak in. The ships produce a gamma ring around them to counter the Van Allen belts gamma rays, making people glow. Ezekiel’s describes a Cherub with four faces. With 4 wings, a round engine, wheels, many eyes/ windows, landing gear and living creatures inside. They are just 4 people wearing shiny spacesuits and 3 are wearing animal shaped helmets. There are lights in the spaceship too. It looks like a wagon wheel turned sideways when looking up at it. Below is an ancient Egyptian carving. Good angels never exalt themselves and always give glory to God. They are not drunks, druggies, murderers, thieves, homosexuals, or false witnesses to God. Angels look like us, because they are us. They walk among us today. You might be entertaining, from the four clans: messengers/ angelos/ angels/ aliens. They are not beige-pink. An ancient Mayan statue of a different kind of Cherub Rocket and Astronaut. Like others it is made up of different sized Circle Parts. Just like the circle floors in Chaco Canyon. 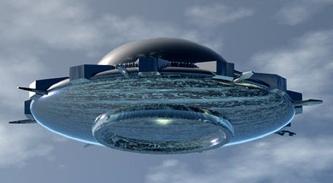 We did not come from aliens, they came from us and built the UFO vehicles on earth. The 1st one is a Religious theology drawing of Seraphim. A white man, with three more animal heads, six bird wings, covered with eye balls on the wings and standing on wheels ???. 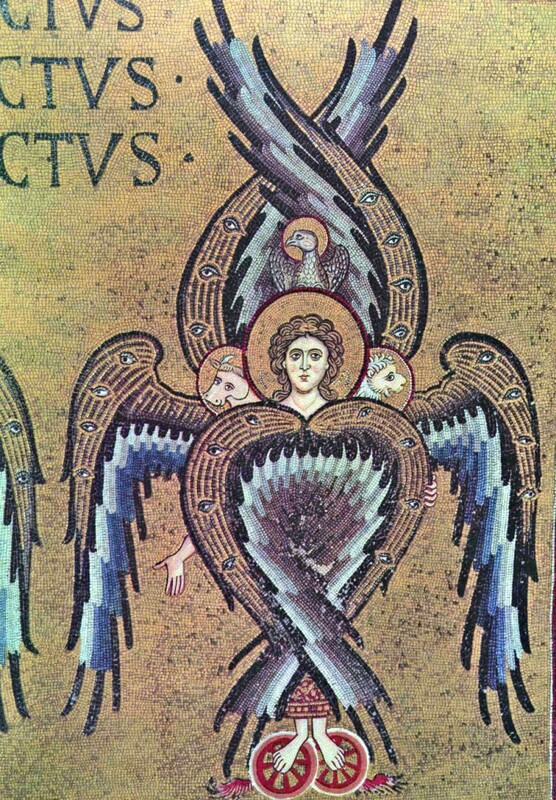 By mistake they combined the description of Seraphim and a Cherub to make a monster. Seraph is for one and Seraphim is for more then one. An ancient statue of a Seraph is to the right. It was found in Mexico. There are larger ones found all over. 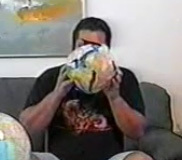 It shows a black man is inside a space suit. With a six winged robe/cape, not bird feathers. He has a helmet with a lion face. Revelation describes four who protect God’s throne. They are members from each of the four clans wearing space suits. Each with a different helmet- lion, eagle, bull and plain for man. I hope this helps you to understand the truth of Messengers/Angelos/Angels/Aliens and puts away the lies. Did I Mention God Loves You ? God Wants To Adopt You and Share All That He Has With You. You are Beautiful, Cool and Valued. God said, do not Steal or Murder, because He Does Not want folks to Steal from or Murder …..You. When Adam and Eve’s children got older, the male and female angels of Turkey/Eden/Greek gods had never seen beige-pink folk. They slept with some of them. Enoch mentions a group of male watchers in the spaceships came to Mt. Sion/Hermon. They slept with the daughters of Adam too. The offspring were male and female Nephilim/Giants/blue bloods. We all have heard about the children of the mythical gods and their great exploits. Some of it is true. Although if you follow Greek mythology you will be misled. Even with cyclops and the one with many hands. 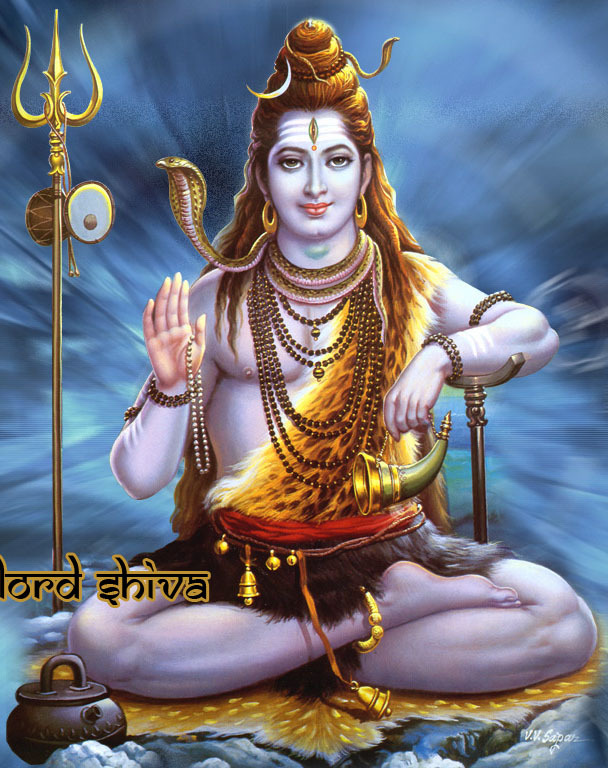 Hindus have Shiva painted with a third eye, in the forehead, because he is also one of the watchers. The gods are shown with many arms, for the different tasks they can perform. Roman /Latin mythology came from the Greeks and is more misleading. Later these fallen Angels were locked in the abyss except for Satan. God chose Abraham, who was married to his half sister Sarah, to keep the bloodline pure. On the planet then and now, we have lots of descendants from the 4 clans, this includes angels. Then humans who are beige-pink. Also Blue blood descendants who did not eat the certain food and come in all four colors and mixed beige-pink. Now to make it more confusing some people migrated north. Over time their descendants skin changed to lighter shades. Some went south and became slightly darker and people intermarry. It is physically tough to tell who’s who. Some people from all groups will follow Satan and his angels. Earth is condemned. It is God’s will that all of us come to repentance, accept Jesus and get eternal life. Many religious leaders in the world were judging and ruling over people. God’s laws were given to change this behavior and help us. The laws were given because almost all people on earth were doing sick stuff and mistreating others. In Moses’ time the Israelites had been given the ten commandments of love. If you love your neighbor you wont steal, you will share and will not kill, but protect. The laws deal with our relationships to God and each other. The laws are for settling disputes, for clean healthy living and how to make repentance by sacrificing. Unfortunately the leaders then turned it in to a religion to rule over the people. Jesus rebuked them calling them vipers and sons of the devil. What was and is our problem ? Sin. We do not listen to God and His guidance. Sin is transgressing God’s law. It separates us from God, we become Godless. His will for us is simple back then and now. Love one another, help one another and do not rule over each other. God is also fair and just, so when we break these laws there is punishment and justice must be served. It is appointed man once to die then judgment and unrepentant sin leads to the second death. Following all God’s Laws would lead to eternal life. Sacrifices for sin, allowed you to start over. It allows you to atone for sin. If somebody stole something, they had to make restitution to the person they stole from. Then they had to sacrifice to God. So lets say I did…. I would return what I stole. Then I would give a chicken to the Levite. He would put it on the Bar-b-que ( Brazen altar ) and offer it to God. Then the Levite would eat the chicken. The Levites did not have an inheritance of land when they got to the promise land. They were unable to grow food or raise the livestock. God would be their inheritance. All the sacrifices and offerings would be eaten by the Levites, except the fat and blood offerings. This is because the Levites were also the scribes to distribute the law to the other tribes. This maybe why they made-up so many oral laws and traditions…..to keep those chicken dinners coming. Jesus’ summary of the ten commandments, laws and prophets, is to love God and each other as yourself. Do not turn that into a religion and rule over people. When Jesus died there is no more sacrificing for sin to God. We now accept God’s gift to us. When we accept God’s gift, we accept the gift giver and He accepts us. We are forgiven. Jesus is God’s gift sent to fulfill the law. Jesus fulfilled the biblical laws…he always listened to God, his Father. He was not supposed to die. When the Jewish leaders got the Romans to kill Jesus and he did die…, he completing the covenant of the Mosaic law. This is why, when Jesus was on the cross…before he took his last breath….he said it is finished. There was no need to start over. He was able to make a new covenant. All that repent and believed upon him would not perish, but have eternal life. What about the Israelites. God has set his plan into motion and won’t go back on it. He made a covenant with Abraham that his seed would be a light/teach the truth to the nations/gentiles. The Israelite people they will see their deliverer, Jesus, on Mount Sion/Hermon when he returns. The bible says the whole house of Israel will be saved. We still try and keep the law, but do not sacrifice. We are to preach Jesus’ gospel, not our own personal stories. His gospel is two parts. (1) This earth is condemned. There is only one God and He loves us. Jesus is His only begotten son, sent by grace to reconcile God and mankind. Jesus is the only way to salvation. (2) In the times before Jesus returns. There will be huge waves, tribulations, earthquakes, famine, pestilence, war and signs in heaven. The sun and moon will be darkened. The Angels will harvest the good. Share Love and Truth. A Brief Summary of whats in store for us. The U.N. is going to Annex Jerusalem. When a peace agreement over Jerusalem is signed the Jews will start building a temple. This will cause a Muslim uprising, Jihad. The U.N. will defeat the Muslim aggression in World War three WW III. After a new U.N. will form. During that time Satan will give the new revived (N.E.R.O) United Nations his power and authority when they control Jerusalem. Satan wants his main man to be the Christ in the bible. The man will broker a peace deal ending WW III and be seen as the savior of Israel and the world. He is referred as the anti-Christ by some. He is from the tribe of Judah, he is Jewish. Messiah is Hebrew, Christ is Greek and they mean the same thing “anointed to save”. Anti- is before or instead of and he will deceive many. He will be a governor of an Annexed Jerusalem. Jesus warns us not to believe in his lies or follow after this man. Do not pledge to the new laws of the revived U.N. that will go against Christians. There will be a male child, a man who has an ear to hear. He helps Jesus’ church with the truth. Satan will be jealous and go after him, he is the “victor/ conqueror”, rider on the “White horse”. He will be taken up to God and His throne. The ” rod of iron “, power to rule will be taken away from Satan. It will be given to him, to be in charge over God’s army. A war will be in heaven, which is in our atmosphere. Later Satan and his angels and spaceships will be kicked out of heaven. They and the new U.N. will want to persecute Jesus’ church. Before the earth expands the “victor” will return with the armies of heaven and will defeat Satan. The whole world will see the truth, Satan is just a man. Jesus over came the world and earned the right to sit on his Father’s throne. This “victor” will over come the seven spirits that go out to the churches and earn the right to sit with Jesus on his throne. The “victor” will rule the nations with an “iron rod”, to guide the ones who continue to be bad. God’s will is all mankind come to repentance. Jesus will then return ruling with love and mercy, their rule will last 1000 years. The first earth age was till the flood, the second age is now till the fire. Then Jesus’ 1000 years and one more to come called Eternity. God himself will be with us in the new Jerusalem and give his light/ guidance/truth. See my Revelation pages for more truth. I know it seems like I am jumping quickly through some of this information. I am trying to lay the ground work, so I can share it completely as we read on. Thanks for your understanding. God said his temple would be built in Jerusalem. When Israel was divided 3000 years ago, there were 10 tribes to north and 2 tribes to the south. The northern people fought against the southern tribes and did not want to travel to the south where God’s temple was. So they built their own temples to God and called them synagogues. Soon after they built 2 golden calf alters like the pagan/gentile nations. They also built churches all over the place and on street corners for their gods. If we cant make it to Jerusalem we are to look towards it. The apostles called their gatherings “ The Way ” because Jesus is the only way to our Father, God. The Way is mentioned five times in the book of Acts. It is the Jewish church of Jesus the Messiah, guided by the Holy Spirit. They met at each others homes and at God’s temple. In the synagogues they preached Jesus’ gospel. Some of Jesus’ followers were called Christians, like when Paul joined Barnabas at Antioch. It was a term meaning Christ followers. They would go to Jewish and the gentile churches and tell them about the one true God and Jesus. We are to free people from religion, it is a way for bad people to sacrifice and give alms, to an angry god. God is not mad at us. He loves us and gave us His son. With this information we are to empower others setting them free. Warning these next paragraphs may be disturbing to some. Christianity is somehow becoming a religion like the pagans. Where some leaders tell you what to do, just to control you. Not set you free. They preach their philosophy. It is not the Israelite church Jesus started. The bible says we are to be grafted into the House of Israel. Some Christianity leaders have a lot of non-biblical teachings, taking one verse out of context and preach on it in a six part series. Why ? They go out and preach their personal stories as gospels to the world. We hear of their golf stories or how their wife burnt a pork chop and said “look on the bright side”. Why are they teaching people to eat pork ? It is a scavenger animal, similar to a buzzard. We hear about their kid’s sports and academics. Entertainment is now their main focus, not the bible because it sells. Each week the show must go on. They preach other peoples stories and jokes. They do all this, because they do not feel the Bible is relevant for today. SAY WHAT ? It is the most relevant book you will ever read !!!! Some Christianity leaders love to build churches claiming they are for God. Putting them next to other churches like pagans, having many denominations. Who converted who ? Those on stage tell you to give more money. Claiming God said so, using it to build more expensive buildings. They use them to feel important. Then brag to other leaders about the size of them and how much they cost. Those laugh and say the money was a miracle from God, not from your hard earned work. Which you could have kept to take care of yourself, family and others. It is OK to have a meeting place and a sign saying “Jesus” outside and in, to let others know who’s you are. Yet God does not live in houses built by men or is impressed with them. 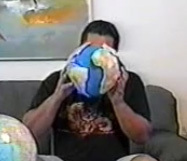 This earth is condemned. The kingdom is made up of people not buildings. Leaders say you must Tithe and give the money to God. Yet, they take it and use it for themselves. In reality Tithing is saving 10% of your income to throw a week long party in Jerusalem every September at the Feast of booths. The Tithe is to be eaten. (Deuteronomy 14:22-29). The word of God is the seed, we should sow into people who open up to us. Some preachers say your money is your seed and they are good ground. You must give them your money to be blessed by God ? There is nothing wrong with supporting someone or donating to a cause. It is and should be your choice. Today’s churches are becoming the synagogues of Satan and filled with trade. Jesus kicked out the money changers and he admonished the priest in the his beginning of his ministry and the end. It is why they wanted to kill him. We are to be one family working together. You do not pay people to tell you “God loves you”. If your pastor/preacher works for you, then you pay them. If they work for Jesus, like I do, then let Jesus pay them. Be careful of them aligning with Satan and the new U.N.. Who will tax your buying and selling of preaching God’s words, in order to provide protection to your church. That is 666 the mark of the beast. Those religious leaders just want to have power, celebrity status. Some wear costumes, rule over the people and take their money instead of helping people repent of their sins. Should you listen and support them ? I know my words sound harsh, but they are the truth cutting both ways. It is your eternal life you are playing with. Are there some good Christian priest, pastors and preachers ? YES, many and you can tell them by how, what and why they share from the bible. They help you repent of your sins and get eternal life and teach you, to stay confident about it. Teaching you how to help others get eternal life. 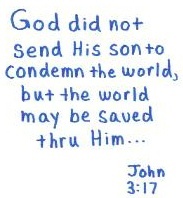 That is why Jesus died for us. They warn you of coming tribulations. It is time to understand the bible, God’s love and a time limit has been set to end the rule of bad people on this earth. God sends the Holy Spirit to comfort us and bring us into remembrance of truth. The bible says do not forsake assembling with one another. Bible study with family and friends is a great idea. It also says when two or three of you come together in Jesus’ name, he is there. We are to make Disciples and spread Jesus’ testimony about God and His love. Not tell our own childhood stories and hardships, we all have them. Those who repent and accept God’s sacrifice, Jesus as Lord and Savior are now free. They can enjoy the blessings of the laws in the bible and are under God’s grace. We are no longer judged for our salvation by it. Jesus did not change the law and it will not be done away with. Do not Murder or Steal and keep the Sabbath Holy…. If any Religious leaders read this, my point is not to put you down. It is to show the mistakes you have fallen into, so that you might return to your first love. Which is helping people to understand the bible. Preaching the gospel of Jesus and warning others for FREE. Also check out 2nd Peter chapter 3:3-7. “First of all, you must will understand that in the last days scoffers will come, scoffing and following their own evil desires”. They will say ” where is the promise of his coming ?” “Ever since our fathers died everything goes on as it has since the beginning of creation”. “But they deliberately forget that long ago by God’s word the heavens existed and the earth was formed out of water and by water. By these waters also the world of that time was deluged and destroyed. By the same word the present heavens and earth are reserved for fire, being kept for the day of judgment and destruction of ungodly men”. It will be like the days of Noah. Men’s hearts and thoughts will be on doing evil. No its not the end of the world, just the earth expanding again. It will lead us to the beginning of Jesus’ 1000 year reign, then…a new age called Eternity. Thank you for reading my website. I am a repented sinner who works for Jesus, to help you get eternal life. That is why Jesus died for us. You do not pay for it !!! There is a reward for this work. When Jesus returns I will have earned the right to work in his kingdom. You can have the same reward too. So what must you do to receive eternal life ? God’s law is not up for a moral discussion. It is appointed men once to die, then to judgment. Sin is transgressing God’s law by disregarding it or not taking it into account. Choosing not to repent, will end your journey in fire. That is the 2nd death. God can not have you around continuing to willfully hurt people. Next are not my rules or a religion, they are just shared to help you: You admit you have broken at least one law. That doing so has harmed you or others. No need to blame God. You repent and now are going to try to live a sinless life. Will you succeed ? No, you have already sinned. Then why keep trying ? To love God and love your neighbor as yourself. We are judged by our works for rewards and punishment. You believe God loves all of us and sent His only begotten Son Jesus. You accept Jesus lived a sinless life and earned the Tree of Life back when he died. Come to Jesus for forgiveness. He now sits at the right hand of God the Father. You confess with your mouth that Jesus is Lord and believe in your heart that God raised him from the dead……… AND YOU WILL BE SAVED !!! NEXT IS THE GOD LOVES YOU PAGE. Great pictures and worth finding out if IT’S TRUE !